Below are listed reunions for USAF Police units. Click the links for further information. If you have a reunion you would like to add please contact us using the form. The contract has been signed and the reunion is set. I have worked a deal with, http://www.hooterscasinohotel.com/ for 73.00 per night. You may now begin making your reservations for our 7th Annual 3rd Security Police Group reunion. The dates are, Thursday June 22nd to Monday June 26th, 2017. The hotel is right off the strip on Tropicana Avenue. Next to the Tropicana and across the street from the MGM. When you go on line to reserve your room please use the "Promotional code" 1491536. This will get you the $73.00 per night rate. Or if you are more comfortable calling, you may call them at 1-866-LV HOOTS. Please also use the code, 1491536, or you may mention that you are with the 3rd Security Police Group. Looking forward to seeing everyone in June!!!! Lunch: BBQ provided by 7th Security Forces Troops at Golf Course. Afternoon: Pistol Shoot Dyess AFB Range. Sunday May 21st Farewell to Brothers who have gone before us and Church Services Location TBA. We are still looking for events for Spouses/Significant others. Please forward all suggestions to us so they can be researched. 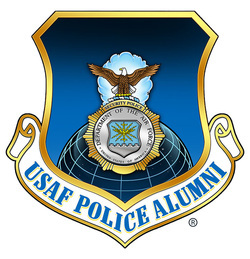 40th Security Police Flight Aviano AB, Italy Reunion , is glad to invite One and All on our next Reunion ! **** THERE IS A DISCOUNT BY CARNIVAL, HENCE THIS POST. I WAS INFORMED TODAY THAT THE DEPOSIT IS $99.00 PER PERSON UNTIL MIDNIGHT ON MONDAY JAN-16, 2017 EST." Join everyone on a 4 Day Cruise, departing out of Tampa Florida on Thursday April 19th 2018 . The Committee and all who attended voted for an East Coast trip, and utimately voted on a Cruise. We searched for the best price and have come up with the following. Departs Thursday April 19th 2018 at 4p.m. Monday (23 ) back into back in Tampa at 8a.m. ***DEPOSIT of $150.00 per person at booking and FINAL PAYMENT due by February 18th 2018. deposits are applied to your total Cruise Cost. The drink package has to be PURCHASED by BOTH people sharing the room ( ship rules) and is $460.00 a couple. ***Dining is Buffets , but there are dinner times set at 6p.m. and 8p.m. nightly. That will be up to you. I thought SUNDAY night would be a GREAT time to Dine together at the 6p.m. time frame. That could be our chance to be as one, our Cruise Planner said the tables are seating for 12 and she can arrange for as many tables of 12 to keep us in the same area. "40th Secruity Police Flight , Italy"
*** We will be working diligently on a Tampa Stop over, before the Cruise. Ray and Leslie Pappion, proposed a trip thru Ray's place of Employment, Hillsborough County Sheriff"s Office. (Exciting!) And Brian Courtney's brother owns a few Bars in Tampa and we could visit that too. By Front loading a Trip thru Tampa first, whom ever wants to join in can, and if just the cruise is all you are interested in, that's fine too. Those intineraries will be worked on and posted at a later date.